Bonjour lecteurs! If you enjoy our adventures on Instagram too, you might have seen that in 2019, I decided to treat myself more often. After reflecting on 2018, I realised that it was all about Baba, the house and work. So c’est le moment to make some time for myself! Therefore, I subscribed to Birchbox so that I can discover some new beauty and makeup brands. And so far, I am loving it! 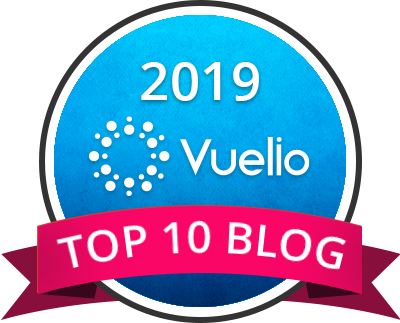 I want to share with you all my faves! So here we go for a bit more of beauté into our Frenchie world! 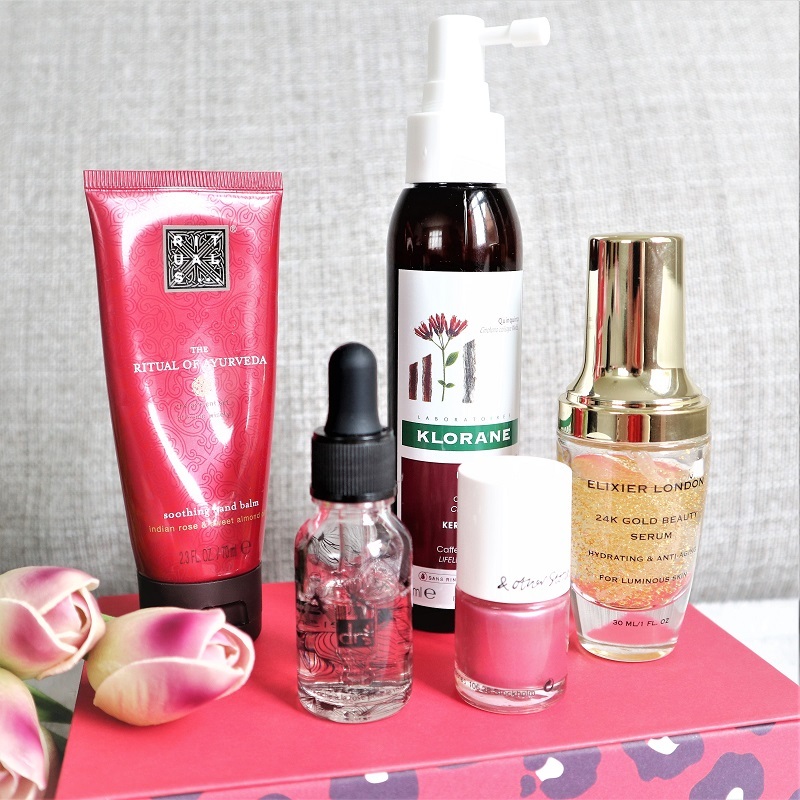 Enjoy my 5 Feel Good Beauty Products that I absolutely love at the moment! 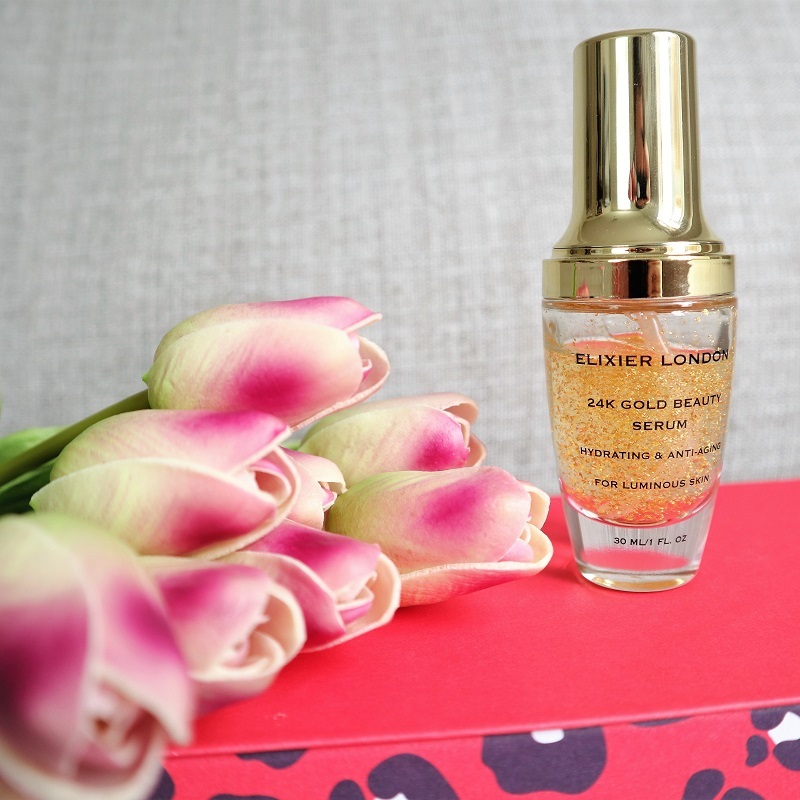 First stop is this gorgeous Elixier London 24K Gold Beauty Serum. This is part of my new face routine. I apply every day this luxurious anti-ageing serum and I am so happy with it so far! My skin is softer and really flawless. For a princess like moi, a good gold serum is a must! Packed up with good antioxidants and 24K Gold particles, it is a real treat that leaves my face smooth. It feels more hydrated and I have fewer imperfections too! 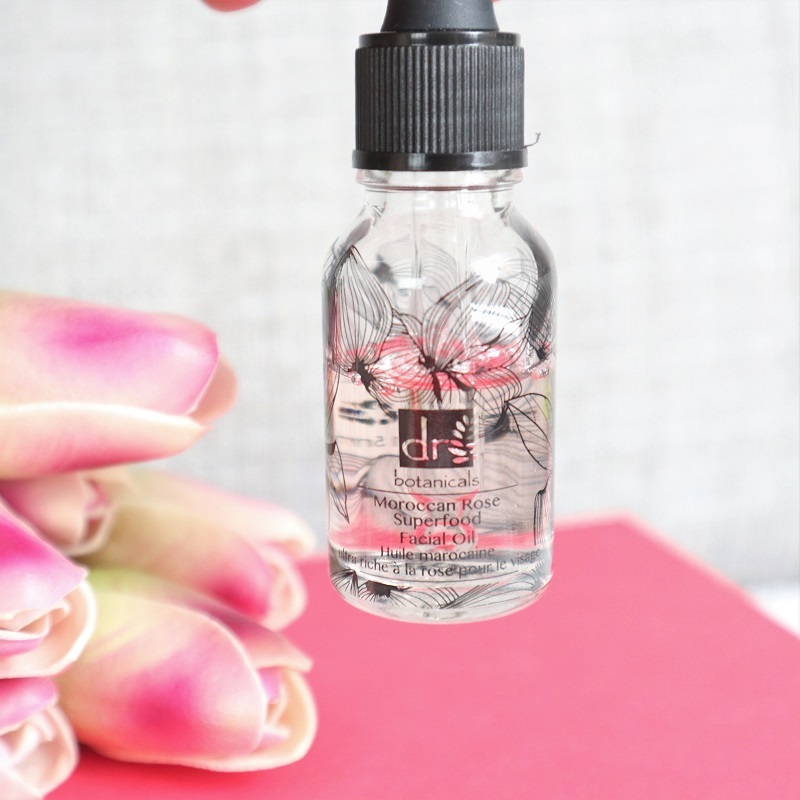 Before applying my serum magique, I usually use a drop or two of this amazing Moroccan Rose Superfood Facial Oil. Oui, je sais, it is a strong adjective to describe such a beauty product but I can not imagine using anything else! Its smell is magique! And my skin feels so much better! I absolutely love its smell. I am usually not a huge fan of facial oils as I tend to find them too greasy. But this one made me change my mind! Not tested on animals, this facial oil is full of good ingredients. Its formula of vitamins A & C with almond oil makes my skin feel fresh and brighter. 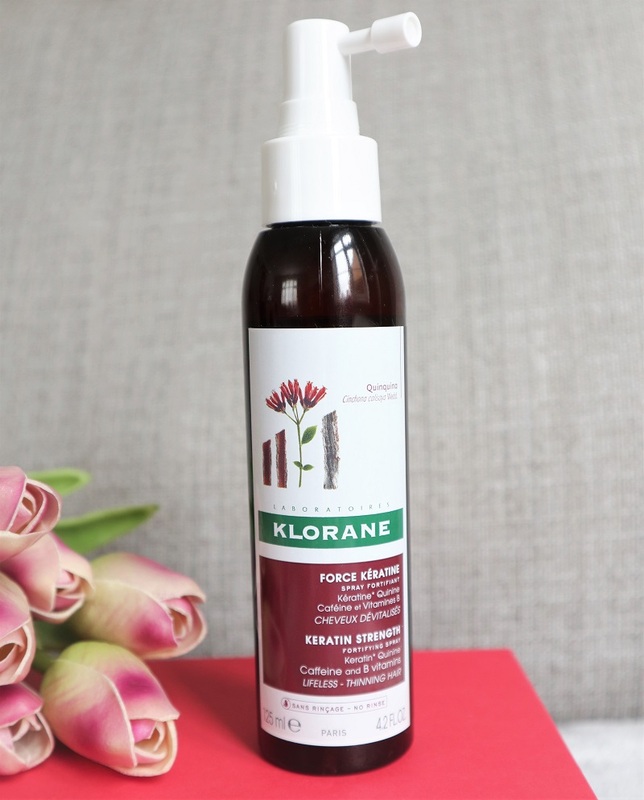 And before going to bed, I also love the Klorane Quinine Keratin Strength Fortifying Spray. 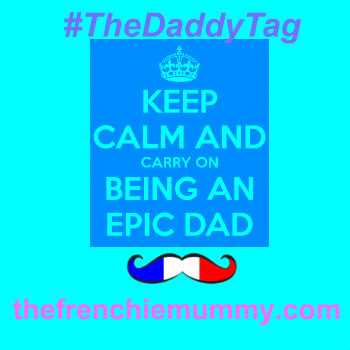 I have been using this Frenchie label for years! My mum was already buying its super effective shampoos when I was little. This new spray did not disappoint. My new fave for some fresh and strong hair! My hair is stronger and looks thicker. I was ready to give up and get it coloured because it used to feel so fragile, but I am so happy it tried this! No more colour for the Frenchie! En plus, with its fruity scent of green tea, jasmine and peach, my hair smells fantastique!!! I think that I will need to try the whole range soon! Dreaming of Indian roses? This hand balm is the best I have tried for a long time. Another find thanks to Birchbox and I am totally addicted! It is really rich and leaves your hands so soft! 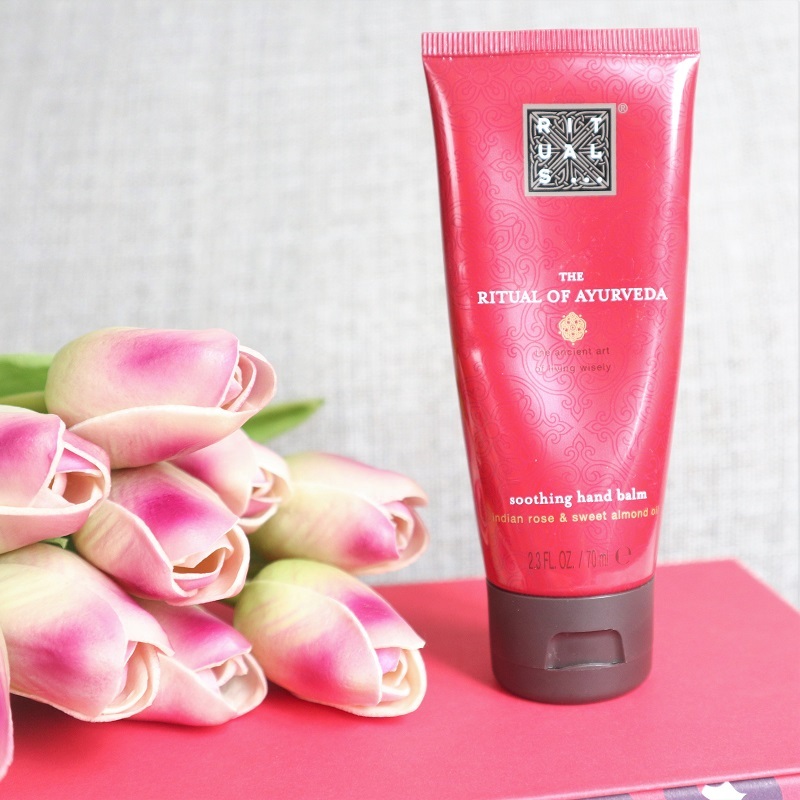 I tend to have very dry skin, so this hand balm is a real treat with its soothing properties. You can feel a difference after the first application. I must say it was a real discovery for me! Perfect for a massage each night, it also has a lovely smell, not too strong. Just the way I like it! 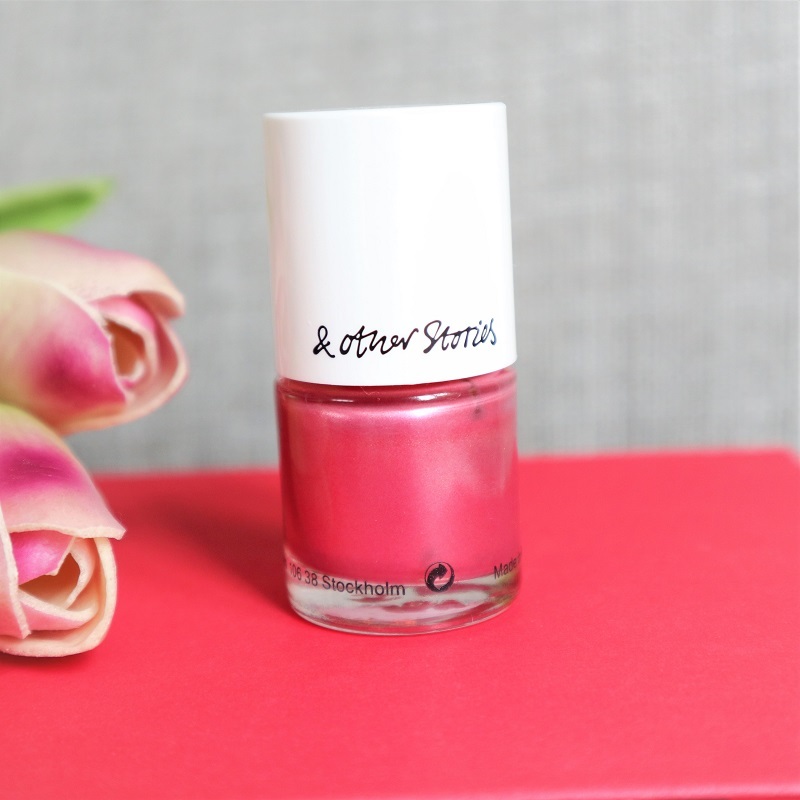 And to finish my look en beauté, I apply two coats of this gorgeous nail polish. I am totally obsessed with this since I bought it in January. The colour is pop and feminine but not too girlie. It dries quickly for a superb high gloss finish. This colour is a hit! The brand actually offers a super cool range of nail polishes so next time I stop by its shop in London, I will probably buy another shade… Just because I love it so much! 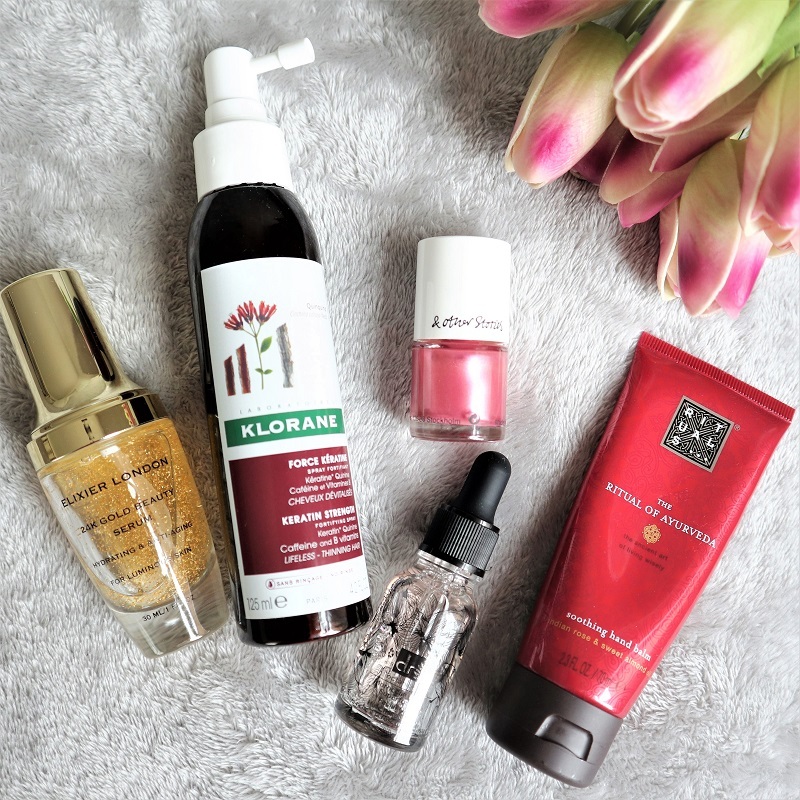 And that’s it for my 5 Feel Good Beauty Products I loved in March. Is there any item in this list you also use? Or any you would fancy trying? I recommend them all to feel fab over Easter! Disclosure: This list is a mix of samples I received as well as some beauty products I bought myself. Either way, they are my faves!!! Some beautiful products they look lovely would probably pick these out myself. I am a Rituals fan and have never been disappointed with their bath and skincare products. I occasionally treat myself to a NUXE oil but mostly use Aldi’s Lacura products. All look lovely, I could be tempted with the oil. I have such dry dull skin and nothing helps! They all sounds lovely! I’m most curious about the Botanicals oil. Elemis’s Pro Collagen night cream is a rare but wonderful treat. always nice to treat and pamper yourself to make yourself feel good! Klorane Quinine Keratin Strength Fortifying Spray is the product I would most like to try but there is a lovely selection here!